A smart marketing consultant can be the secret weapon in an author’s campaign to market and promote a book. That’s according to Adrienne Biggs, one of three experts interviewed for this post. Since not all authors are experienced or even comfortable selling themselves, professional consultants can help with customized marketing strategies to reach your targeted audience of eager readers. Cindy Ratzlaff describes herself as a brand evangelist, buzz marketer and social media strategist. She’s the author of The Beginner’s Guide to Facebook for Business. Cindy has developed award-winning marketing and publicity campaigns for more than 150 New York Times bestselling books and was named by Forbes magazine as one of the “Top 30 Women Entrepreneurs to Follow on Twitter”. Stephanie Chandler is CEO of Authority Publishing, a company that specializes in custom publishing and marketing services for authors. She has a broad variety of publisher and author clients, and is the author of Own Your Niche: Hype-Free Internet Marketing Tactics, and The Author’s Guide to Building an Online Platform: Leveraging the Internet to Sell More Books. Adrienne Biggs is former Publicity Manager for Jossey-Bass, an imprint of John Wiley & Sons. In 2008, she launched Biggs Publicity, and embraced the use of Facebook and Twitter. In 2010, Adrienne was named Board Member and VP of Northern California Book Publicity and Marketing Association and in 2011 she assumed the role of President. What can a marketing consultant contribute to the success of a book? Cindy Ratzlaff: A marketing consultant can help a new author navigate all of the metrics that must be in place in order for a book to be successful, including a promotional plan that coordinates the timing of in-person and online advertising and publicity, consumer outreach, and social networking that should all occur simultaneously when point of purchase ebook and print retail distribution is active. Stephanie Chandler: The right marketing consultant can help you identify your target audience and understand its needs, challenges, and interests. This step is essential in building your marketing plan. Next, a marketing consultant should help you identify marketing tactics to reach that audience and generate broad sales. Adrienne Biggs: Good marketing consultants are an author’s secret weapon when putting together a successful book campaign. They have the experience, they know the market and how media and book buyers think and can present your book to these outlets effectively. They can work either independently or with an in-house marketing team to insure that all bases are covered and no creative opportunity slips by. What are the best ways for an author to help with marketing a book? 1. A Facebook personal profile in their real name, with a photo. I recommend that authors enable the “subscribe” button and live their online life more publicly. As an author, you are or are becoming a “public figure.” Invite people into a relationship with you, the author, in the simplest way…on your Facebook profile. 2. A Facebook Fan Page titled with the name of the author and the word “author.” A fan page can be customized so that fans can check the “Buy the book” page and make a purchase without leaving Facebook. They can also join the author’s mailing list (all authors should be capturing email names of fans), and authors can even have a tab, or app as Facebook is now calling our former tabs, with a list of personal appearances or media events. 3. A Twitter Account. Twitter is the amplification tool. The fast moving stream means that multiple messages about the author’s tour, book, topic of interest, love of books and anything they care passionately about can lead like minded, potential readers to them. Additionally, every Tweet is a unique URL and again, the goal is to create a large digital footprint, filled with keywords that describe the author’s topic, to lead readers back to the author’s home base. 4. A YouTube Account. YouTube is the second largest search engine behind Google. People search “How-to” on Google hundreds of thousands of times every day. Authors should create short video talks about their books and post them to their own YouTube channel, making sure the title of the video includes keywords that would attract the ideal reader. Upload the videos to YouTube and share the links to Facebook and Twitter for added digital clout. 5. A blog. I encourage every author to have a blog and to post 2 times per week with each post containing 300-500 words. The first and the last paragraph should include some important keywords that are integral to the author’s core topic to attract, again, ideal readers. Stephanie Chandler: I am a big advocate of blogging. This will help attract traffic from Google and give you a way to connect with your audience via comments. Next, share each blog post with your social media networks. This will bring visitors back to your site. Commit to engaging in social media daily. Also, look for groups on Facebook or LinkedIn that reach your target audience and get involved. Or, better yet, start your own group and gain exposure as a leader. Finally, look for websites that reach your target audience and see if you can submit guest articles or blog posts. Marketing online is all about consistent action, sharing content, and building an audience. Adrienne Biggs: I recommend that an author take a public speaking course or hire a media coach if you’re not comfortable talking about the subject of your book in public, or with the media. Know your “talking points” so you can feel confident that any media interview he or she schedules for the client will be informative and engaging. What are the skills of a really good marketing consultant? Cindy Ratzlaff: A marketing consultant should understand the entire publishing process, the traditional promotional seasons of retail bookselling, current distribution models, and both traditional and online advertising options. Stephanie Chandler: A great marketing consultant should give you plenty of ideas for locating and connecting with your target audience. And by the way, not all marketing tactics work for everyone so a big part of it is testing to find what works for you. Your marketing consultant should give you plenty of ideas so that you can try out multiple tactics. Adrienne Biggs: Creativity, tenacity, direct experience, “connectivity”, a great network, and realistic expectations. Has your role changed with the upheavals in publishing? If so, how? Cindy Ratzlaff: My role has definitely changed. It used to be that one or two big national hits were a guarantee of bestsellerdom. Now even that “holy grail” of publicity hits doesn’t guarantee books will sell. In the non-fiction genre, the national network programs are using fewer authors than ever before, bringing their own experts into long term contractual relationships and leaving fewer spots for authors. In marketing, the big advertising campaign in say, the New York Times Book Review, is now reserved for the rare book. Traditional marketing budgets just don’t include major advertising anymore. With fewer television outlets and smaller advertising budgets, I’ve turned my focus toward teaching authors how to create their own passionate following. The average Facebook user has 130 friends. If an author has 10,000 fans with 130 friends each, you can see how quickly potential influence can spread. Consumers need many more touch points with the author and his or her message before making a decision to purchase the book. Stephanie Chandler: Yes, I’ve been doing less traditional marketing and publicity and focusing more on helping authors get professional support for self-publishing their books. My Authority Publishing company specializes in custom publishing and content marketing. We consult with the authors individually, reviewing strategies and customizing the best plan for their unique content and goals, including internet marketing, search engine optimization, blogging, promotion on Amazon, internet media outreach, articles, public speaking and more. Adrienne Biggs: Yes, very much so. I rarely stuff envelopes with printed galleys anymore. These days I spend most of my time creating, managing, and administering online social networks (FaceBook, Twitter, LinkedIn, YouTube, Pinterest, WhoSay etc) and a smaller part of my efforts on traditional media outlets which have shrunk and sometimes disappeared over the past few years. I’ve been doing most campaigns since 2008 using 65 percent social media and only 35 percent traditional media. Do you generally work for the author or the publisher, and how does that affect what you do? 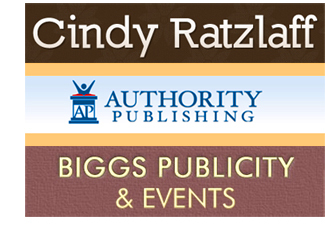 Cindy Ratzlaff: I most often work for the publisher on behalf of a single author or group of authors. I create a marketing plan, a calendar and recommended messaging and then I model the art of social media brand building to the authors and teach them how to continue to build their tribe. But if anyone tells you they’ll do it all for you, RUN. If the author is not involved personally, lending his voice and personality to social media, the desired effect will not be achieved. 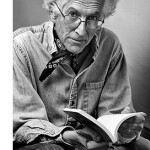 The whole point of social media is to shorten the distance between the passionate reader and the passionate writer. Social media marketing is the new book tour or bookstore reading. The author is the magic. I do work directly with authors if I feel the author is highly motivated to learn the strategies I teach and willing to work alongside me so that they can eventually take total control of their own social marketing. Because working one on one with authors on a tight budget isn’t always possible, I’m beginning to produce some self-study video and webinar materials that will give authors the same information but in a DIY format. Stephanie Chandler: Since Authority Publishing is an active publisher, I generally work with authors directly on customized marketing plans. However, other authors we don’t publish can also take advantage of our services. Adrienne Biggs: When I started my own marketing agency in 2002, I was typically hired by the publisher. These days, budgets are tighter and publishers may hire an outside publicist for only one part of the campaign, like creating a Facebook presence, or doing radio in one market, or targeting a certain kind of media outlet. Consequently I’m working now directly with authors who want to supplement the in-house publicist’s work or with self-publishing authors who appreciate my focus on their book and willingness to give it all I’ve got. What are the newest trends in book marketing? What’s hot? Cindy Ratzlaff: I’d say that right now, as the Facebook Timeline rolls out to Facebook fan pages, one hot new opportunity for author marketing is creating custom apps so fans can buy books, join mailing lists, enter contests and ask questions all without leaving their favorite. Another hot trend is Twitter parties at a pre-determined hour in which fans and the author gather for a live chat using a #hashtag to help people follow the conversation. But the coolest thing I’m seeing is adding an online environment to a book. This means putting URL links into a book that lead a reader to an author’s website where they’ll get expanded new content, videos from the author, out takes back story, and live webinar chats with the author. I love the idea of baking “more” into the book as an added bonus. You’re saying to the author “this book is an invitation to a longer, deeper relationship with me.” But, of course, then you must be prepared to deliver. Stephanie Chandler: Pinterest is the big buzz right now. This is a social network for sharing images — pictures, graphics, clipart, etc. Authors can use this to create “pin boards” with photos from their books, or photos of books in the same genre, or other theme projects. I’m finding this to be a fun and creative way to connect with a new audience. Adrienne Biggs: The current trends are the use of Google+ to create an author presence/platform/engagement; the use of “social releases” in addition to the traditional multi-page press release, and video book trailer. 7. Do you work with self-published authors and if so, are there any special issues? Cindy Ratzlaff: I offer webinars, video courses and how-to blog posts to help self-published authors find the tools, tactics and strategies they need to be their own marketing and publicity people. The self-published author is often more willing to work on their platform than traditionally published authors who still operate under the illusion that the publishing house will take care of everything. Stephanie Chandler: Yes, I do work with self-publishing authors through my company Authority Publishing. I tell my clients that any author who cuts corners and skip essentials like editing and professional cover design will not be as successful as those who take the necessary steps to make their books as professional as possible. If you’re going to self-publish, make sure you treat that book like a business and get it done right. I firmly believe that self-published books can be just as successful as traditionally published books if you’re willing to do the work. Adrienne Biggs: Yes, but I’m very particular about choosing clients who are serious about self-publishing in a professional manner. Services I provide might include: building a platform, training how to build an audience or social network, consulting on how to market the book as a tool to build their business, or informing them of publishing courses, conferences or organizations that can help further their experience as an author. Are you looking for help in marketing your book? What’s your experience with publicity that works or doesn’t? How have you customized your strategy to fit your target audience? We welcome your comments and any advice for fellow authors. A book festival is a fantastic way to introduce your book to a broader audience base. You get to meet other authors with similar interests. You are also exposed to other genres of writing, and you may try your literary genius there. People speak about the necessity of social media but I never ses an analysis of a return on investment. Please someone convince me first that speeding my time on SM is really worth it. Another great article. So glad I found you. Thank you! Social media, specially Facebook and twitter are really doing a great job in promotion and marketing of various products and services and book marketing is also not an exception. All terms in a publishing contract can be negotiated, either by an agent or attorney familiar with the various options and between-the-line meaning of the boilerplate. I wouldn’t recommend doing it yourself. Traditional publishers have finally realized that the author is the most effective tool for marketing and publicity and therefore require authors to do it themselves. This is not out of thrift but rather smart thinking. The old techniques of expensive advertising and book tours don’t work. It’s websites, blog posts, tweets, FaceBook, YouTube and social networking that sell books, and even then only if you have a really fine piece of work. Publishing has never been a “sound business” — but people who write or work in it love literature and value its importance to our culture and society. And yes, you’re right about advances generally going down in the current risk-averse climate of traditional publishing. Honestly, I’m not really for self publishing but the way traditional publishing sounds in this article, it sounds like it’s not really worth it. I mean I’ve been reading online that publishers are asking for more and more rights. Is this incorrect? And with what you said about the marketing budgets having gone down, authors need to do more of their own marketing. That’s fine but with that said, it’s starting to make less and less sense to go with the traditional publisher. I mean, are they still paying advances or have those gone down, too? It just sounds like we’re giving up more than we’re getting here. Publishers always tell writers to treat this like a business. Well, this doesn’t seem like a sound business venture for an author at this point. But that’s only my opinion based on what I’m reading here. It certainly isn’t unthinkable to de-emphasize the author, but I wouldn’t recommend leaving him out entirely. It’s human nature for readers to want to know who the author is, why and how they wrote the book, and what kind of person they really are. Readers want to admire and identify with an author. Where you put up the boundaries, however, is up to you. I for one encourage you to be as open as you can while still remaining comfortable about your privacy. I’ve read much, including here, about the need for authors to sell themselves via social media. I understand the reasons, but I am wondering if there is any room for an approach which markets the work (book, e-book) aggressively, while distinctly de-emphasizing the author. I’d like to think it possible to successfully sell an individual written work strictly by marketing the content to those likely to be interested in the content? I know this is not the path to achieving every single possible sale, but is it as unthinkable as what I’ve read seems to suggest? Alan, you always provide the latest and greatest information for new authors like myself. A sincere thank you. My books publishing date is June 1 and my brain it tired from trying to figure out the most effective means of promoting. This information is spot on and very helpful. Fabulous info here, and thank you! Let’s see… I’ve got the personal Facebook page, the Author Facebook page, Twitter, YouTube, Blog, Pinterest, and working on Tumblrr, etc. And I’ve got quite a few followers. One thing to watch for is that you don’t turn it into an echo chamber of writers RT’ing each other back and forth and never encountering any readers! I was just going over my real profits since the beginning of the year in terms of my indie press and self-publishing ventures. It’s March, and I’ve just reached 5 figures, so that’s a start. Doing it independently is a lot of work, but a great adventure, and I love the control I get in terms of titles, covers, speed of publication, and especially — writing what I want! I don’t worry too much about having professional standards and keeping up with the traditional publishing levels of editing, etc., since I am probably as meticulous as they would about what I produce. After all, the publishing company has my name on it. Thanks very much for sharing these tips. Valuable advice we can all learn from. Writers are a great community, and tremendously encouraging of each other.